During rainy season, water contamination, especially of drinking water becomes a huge concern for everyone. Read below the simple DIY ways to keep your water safe, clean and palatable in monsoon. Boiling the water is the easiest and most effective method of disinfecting it. When kept on roll boil for at least 2-3 minutes, it successfully destroys most of the microorganisms like bacteria, viruses, protozoan & other pathogens. Cool it and store it in clean utensils. Sometimes the stored water looks cloudy (turbid) and unclear. Sedimentation is a simple process used to remove turbidity in water by making the suspended particles settles down. The process can be quickened by alum or fitkari readily available in the market at grocery stores. 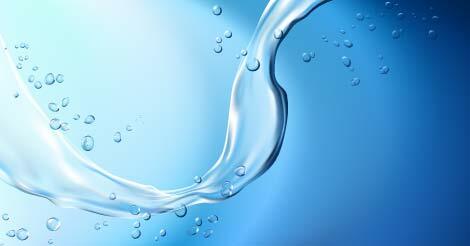 To purify the contaminated water at home, a small piece of alum can be added and left untouched for a couple of hours. After some time, the impurities will get collected at the bottom of the utensil. Transfer the clear water cautiously in another container leaving behind the settled particles. Chlorine is a good agent to purify water. There are chlorine tablets available in the market which can be put in the water containers and stirred for some time. After 4-5 hours the water becomes clean and clear, good enough to be utilized for drinking. A 20 mg tablet is sufficient to treat 5 litres of water. Drink purified water during the monsoon is the best way to stop monsoon diseases like high fever, nausea and vomiting, etc. There are few more steps like preventive health checkup which can be useful to save you from health hazardous diseases. Fill the query form to know more about medical checkups.